After the Great War, communities throughout the Amman Valley were looking to erect memorials for their war heroes and one of the first direct references to this was a letter from William Aubrey Hay, published in the A.V. Chronicle on the 28th of Nov 1918, suggesting a memorial hall with a swimming pool on the ground floor because local children were swimming in the River Amman which was greatly polluted by the local industries. Other letters were published in later editions, one written by W.G. Williams, published on the 5th of Dec 1918 and another written by "Ammanite", published on the 26th of Dec 1918 supporting the idea, the latter pointing out that public meetings had to be held in "places of worship" at that time because there was nowhere else suitable. "The public of Cwmamman have decided to erect a spacious hall in the place to commemorate the heroes from the locality who have fallen in the Great War. As a movement is on foot to raise a Male Voice Choir and Minstrels in the place, it is felt that an effort should be made to form a choir for the purpose of performing an opera or other similar work on the occasion of the opening of the hall, and that, in order to achieve this, Garnant and Glanamman will unite once again as in past days." Sometime later a Committee was appointed and subscriptions towards a hall were given by various local works. When £2,000 had been collected, the committee applied for a grant from the Miners' Welfare Scheme. The committee were told that they were not eligible for funding towards a Memorial Hall, but they could have money towards the building of a Workmen's Hall. An article in the A.V. Chronicle on the 29th of May 1924 claimed that through a lack of "Energy", despite the continuation of contributions, the "Hopes of a Hall seem very remoted". Meanwhile the Palais de Danse had opened on New Year's Eve, the 31st of December 1923. This was constructed as a picture house and dance hall., with the intention of holding dances on one night of each week and the venue being used as a cinema on five nights a week. The opening ceremony, which included a ball, reportedly attracted a large number of people. The Palais was run by a private syndicate, headed by Mr Willie Jenkins who took an active part in the running of the weekly entertainment. The building contained a dancing floor considered large enough to accommodate 200 dancing couples simultaneously and was described as bearing a comfortable and inviting appearance, was well ventilated and contained heated radiators. 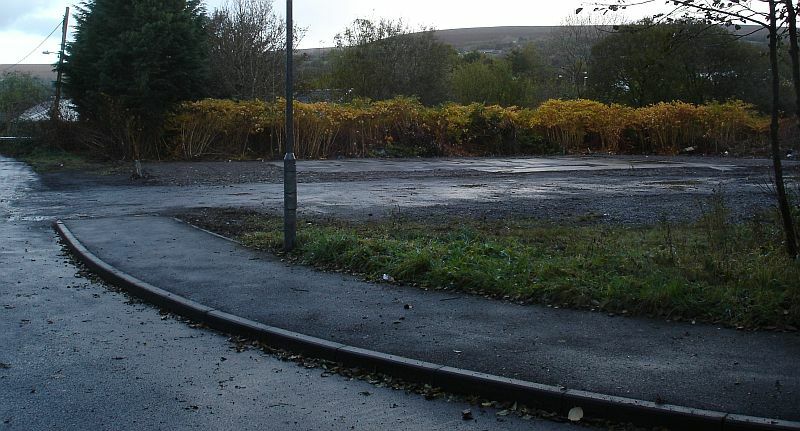 Previous to the Palais de Danse opening, the only other places in Cwmamman dedicated to providing entertainment was Shew Sam (Palace Cinema) at Glanamman, which held the occasional concert, and the Drill Hall, (Cadet Hut on New School Rd, Garnant) which held dances and whist drives. Whether the Palais de Danse was ever used as a cinema is uncertain, but there are several references to popular and well attended Whist Drives being held at the venue, with as many as 25 or 30 tables being used for the purpose. One which took place on a Thursday evening on the 22nd of May 1924, also included a dance and the Amman Valley Chronicle reported that "Mr M. L. Jones, Garnant, again ably filled the role of M.C." ("M.C." = Master of Ceremonies). The whist drives at the Palais were not only attended by both men and women from Cwmamman, but proved popular with people from nearby villages. The event held on the 5th of November 1924 saw 1st prize in the men's section going to a Mr Edwards of Glanamman, while 2nd prize went to a Mr Howells of Ammanford. Whist Drives were very popular at that time and were also held by other institutions. The Garnant National School for example, held a thirty table event on the 6th of November 1924 in aid of the Church Bazaar. Proceeds reportedly went to the "refreshment department". As well as dancing and whist drives, skating was also enjoyed at the Palais de Dance. The hall was not limited to these events however and on the 4th of December 1924, a batchelors' tea where "the tables were daintily set out and presented a very appetising appearance" by the male attendants. The evening, where tea was served continuously between 6pm and 9pm, consisted of food and a dance, where a full jazz band provided the music. Others who preferred not to dance chose to play cards instead. Prizes were awarded to the winners and runners up of the whist drives and a series for an aggregate prize commenced on Christmas week, 1924, where the prize for the highest aggregate score was a new outfit, comprising a "costume" for a lady winner or a "suit of clothes" in the event of the winner being a male. It was not stated what the prize would be for a male playing as a lady as frequently happened (probably to make up numbers). Prizes at later competitions included a large silver cup. Returning to the question of a memorial hall, the matter had raised some controversy and this is highlighted by letters published in the 6th of November 1924 edition of the Amman Valley Chronicle. T. W. Lewis, secretary of the Cwmamman Workmen's Hall Committee addressed several points of a letter previously published in the A. V. Chronicle penned by H. Slocombe. Some of the points made were that the Committee of the Memorial Hall had changed the name without a public meeting, that the new secretary of the committee should have been the secretary of the Discharged Soldiers' and Sailors' Branch and that he (Sec of the D.S.& S.) had not been informed of the meetings to elect the new Secretary of the Workmen's Hall Committee. Other claims dealt with financial matters. The response from T. W. Lewis was that the decision to change the name of the proposed Memorial Hall to Workmen's Hall was taken at a public meeting held on the 17th May 1922. It was pointed out that it was the custom of committees to appoint their own secretaries and that the Secretary of the D.S. & S. was aware of the meetings. The financial points raised were also responded to and the committees books were offered as proof. Other letters were printed in the same edition of the A. V. Chronicle, one by W. Martin Knoyle (Solicitor to and member of the committee) and another from F. W. Gunning, the Ex-Hon Secretary of the W.N.F.D. & D.S. & S. Glanamman Branch. (Welsh National Federation of Discharged and Demobilised Sailors and Soldiers). F.W. Gunning contended that the intention was originally to name the proposed hall "Cwmamman Memorial Hall". He also stated that as hon. sec of the of the above body, he was deputised to act as their representatives on the proposed Memorial Hall Committee, which was also comprised of representatives from the contributing collieries, tinworks, tradesmen etc. It transpired that the W.N.F.D. & D.S. & S. committee and members were not opposed to the name change to Workmen's Hall. The letter stated that the alteration was agreed nearly two years previously. The Workmen's Hall opened on 19th Feb 1927 (see separate webpage). While the Workmen's Hall was still merely an ambition, the Palais de Danse continued to provide entertainment for the people of Cwmamman. On Monday 1st and Tuesday 2nd of June 1925, competitive dances provided entertainment during the Whitsun holiday. The foxtrot competition on the Monday was won by Mr Nelson Evans of Ystradgynlais and Miss Ceinwen James of Glanamman. The twice weekly dance competitions were popular enough to fill the Palais to its capacity and the Waltz competition held on Saturday the 4th of June was so popular that there was not ample room on the dance floor to accommodate all those who wished to take part. The Palais de Danse accommodated other local bodies and Saturday the 18th of July saw the Amman United R.F.C. 's 2nd annual Eisteddfod held there. There were over 200 entries and the elecution competition reportedly comprised of renditions from some of Wales' leading artistes. 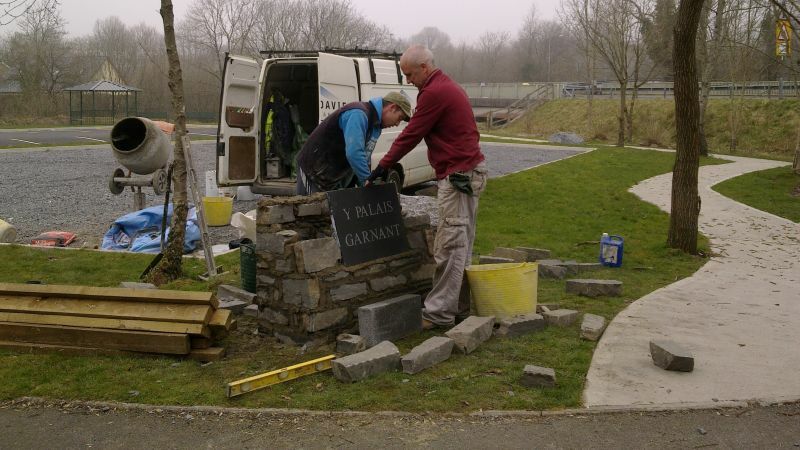 First prize in this category was divided between Madame Miriam Evans-Havard of Glanamman and Mr Tom Harries of Garnant. Betws Mixed Choir, comprising of 50 voices, won £15 and a silver cup in the choral section with their rendition of "Blodeuyn Olaf", the cup having been given as a free gift to the eisteddfod by local jeweler and councillor David Richards.Other singing categories, for soloists etc were given prizes and children also performed various singing/recitals in their appropriate age groups. The carved oak chair was won by Emlyn O. Evans of Brynamman under the eisteddfod name of Emlyn Aman, for his Essay entry. The proprietors of the Palais de Danse substantially lowered their admission prices in the Summer of 1925 as they did not wish to make a profit from the concern during the industrial crisis. The admission charge to the Palais at that time only covered the running costs of the venue, including the cost of the orchestra. The Palais owners supported charitable causes and allowed the venue to be used for whist drives to raise money for the Blind Society. Another example is that of a concert held on Sunday the 20th of September 1925, when a party of concert singers from the Rhondda performed at the Palais as part of their tour to raise funds for distress purposes. Another occasion saw the Gwaun Cae Gurwen Dramatic Company performing "Bili" on the 20th of January 1925, with a view to raise funds for the Cwmamman Choral Society who wished to compete at the Swansea National Eisteddfod. The popularity of the events held at the Palais de Danse continued, attracting people from the neighbouring villages. The 22nd of July 1926 edition of the Amman Valley Chronicle reported on the soup kitchen at the Palais de Danse, which was run by volunteers. The manager of the soup kitchen volunteers was Councillor Joe Bevan and among the multitude of helpers named, was Willie Jenkins and his wife of the Palais. Willie was named as the "aide-de-camp." References in the local newspaper regarding the Palais de Danse seemed to die out in the latter part of the 1920's, while adverts or reports regarding events at the Workmen's Hall and the cadet owned Drill Hall continued. This may be explained by an article in the 29th of December 1927 of the A. V. Chronicle which praised the proprietors of the Palais de Danse for their voluntary efforts in aid of "all deserving causes" and whose "spacious and comfortable hall is always at the service of any cause promoted in aid of the needy." The venue had continued to be used as a soup kitchen on a daily basis while the proprietors worked to assist the miners and their families during the depression. Entertainments were held at the venue with prices fixed to correspond with the hard times. The 3rd of September 1931 edition of the Amman Valley Chronicle, contained a notice advertising the public auction of the "Dance Hall, known as the Palais-de-Danse, Garnant". It was to take place at the Raven Inn Hotel on Tuesday the 22nd of September 1931. The details highlighted included land compromising 44 perches, having a frontage of 111 feet to the road leading from Garnant Station to Horney Road (now Folland Rd), a lease of 99 years from September 29th 1923, with a yearly ground rent of £14. The hall was described as being a wooden structure and matchboard inside, covered with corrugated zinc sheets. It had a "special floor constructed for dancing". The auctioneers were Messrs Thomas & D. Glenville Jenkins of Gwaun Cae Gurwen and Llandilo. The solicitors who placed the advert were Messrs Alexander & Thomas of Ystalyfera. The Palais building became the New British Legion Hall and had its official opening on the 29th of September 1934. A photograph was published in a local newspaper of the Legion officials outside the building on the day of its opening. Included in the photograph is Will Hanson, the Amman Valley's most decorated serviceman at that time (and possibly still). The hall became known as the Haig Memorial Hall, after Field Marshall Douglas Haig, who commanded the British Expeditionary Force from the end of 1915 to the end of the Great War and was one of the founders and President of the British legion until his death in January 1928. 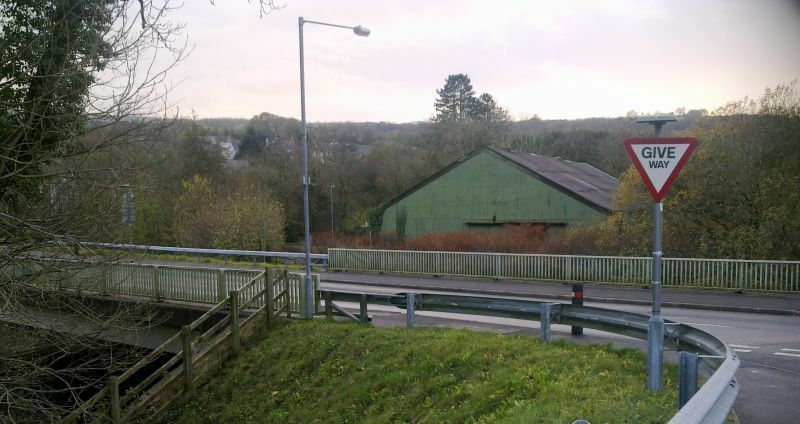 The Haig Hall at Garnant was the material realisation of a memorial hall for the Cwmamman war heroes, which had not materialised with the construction of the Workmen's Hall. Local people, however, remember it as "The Palais" and despite the change of ownership, the building continued to be the venue for local dances in the 1950's and 1960's with live music provided by local artistes such as the Ivor Davies Band. 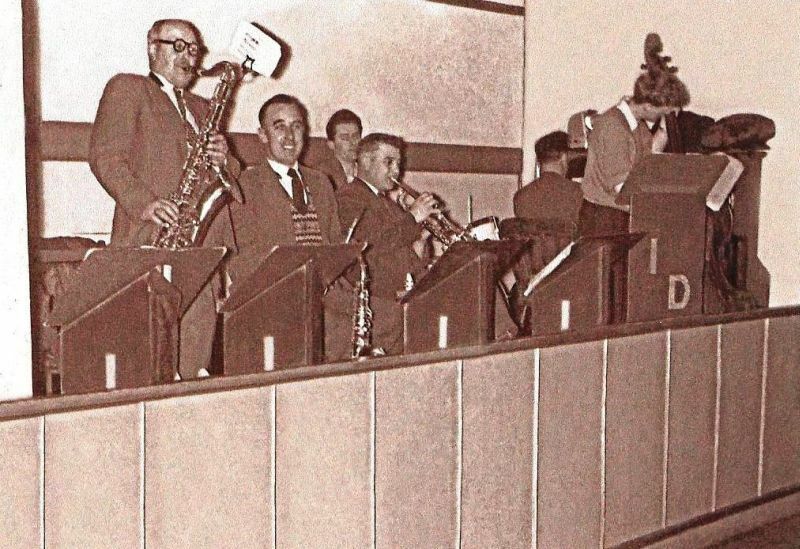 Ivor Davies Band playing at the Palais, circa 1961. (Left to right: Eddie Howell and Fred Thomas on the sax, Gerald Francis on the drums, Ivor Davies on the Trumpet, Ron Jones on the piano and Terry Howell on the double bass). Another musical entity known as the Ron Davies Band were also a regular feature at the Palais. It is remembered that Ron Davies was also the conductor for the Ammanford Silver Band. Since the building ceased to be used for recreational purposes, it became the location of a Jeans Factory for a period but was last used as a car storage facility. The old building fell into disrepair and the site is to be re-developed with the help of £40,000 from the Welsh Assembly in Cardiff. The local council purchased the site from the British Legion and demolition of the old Palais building took place in early October 2011. It is true to say that the old building had become something of an eyesore and that the Royal British Legion will have had some financial benefit from its sale to the Council. On a sentimental note, however, it is true to say that a venue which at one time in Cwmamman's history was the source of enjoyment and perhaps fond memories to its patrons, as well as being a landmark within the village, has now gone forever. Information for this page was taken from various articles in the Amman Valley Chronicle. Thanks to Terry and Margaret Howell for the photograph and information regarding the Ivor Davies Band.